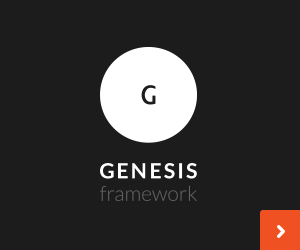 Blox provides two methods for adding content to your Genesis powered website. Simply put, each method is defined by the number of webpages that they can interact with. Local blocks can only be added to a single page, whereas Global blocks can be added to any number of pages. Both serve different purposes and have their respective strengths and weaknesses. A Local block can only be added to a single webpage on your site. More specifically, they can only be added to pages that are directly editable from the WordPress admin. This includes pages, posts, and any public custom post types that have been added by your theme or another third-party plugin. By default, Local blocks are active on pages and posts, so you will need to manually enabled them on any custom post types. This can be done from the plugin Settings page. See the screenshot below. Local blocks are ideal for adding content you only want to appear on a single page. A great example of this is the pricing table on the pricing page of this very website. It was content that we wanted to place in a custom position and it only appears on the pricing page. Adding a Local block is very easy and is done from the post/page editing screen. Navigate to the page that you want to add a Local block to, and locate the Local Content Blocks metabox. Click the button to add as many content blocks as you like. Configure your blocks and hit Publish. These will only appear on the current page. See the screenshot below. A Global block can be added to any number of pages on your website. A Global block could be configured to only appear on one page, a selection of pages, or every page. The choice is yours! An example of a Global block is the banner at the bottom of this page that directs users to the support ticket form. This banner appears at the bottom of all Documentation pages and was added via a Global block. Global blocks have their very own custom post type, meaning that they are added directly from the left-hand navbar in your WordPress admin area. Simply locate the Blox menu item and click Add New. Since Global blocks are not automatically attached to a specific page like Local blocks, they have an additional setting tab called Location. The location settings allow you to decide where the block should display. Other than that, Global blocks work just like Local blocks. The only difference is their scope, one is local in scope and the other is global.